Leonardo features designer rooms in a historic building in the Diamond district, 150 feet from Antwerp Central Train Station and the Zoo. It includes a modern bar serving Belgian beers and 2 computers with free Internet access in the lobby. Flat-screen cable TV, a work desk and a minibar are provided in each of the rooms at Leonardo Hotel Antwerpen. The rooms include décor with warm tones and rich fabrics. The private bathroom is fitted with a bathtub or a shower. The daily breakfast buffet includes scrambled eggs, freshly baked pastries and breads. 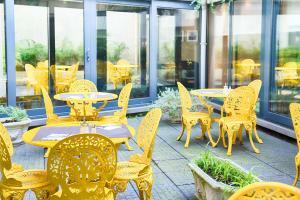 Guests can enjoy breakfast on the sunny terrace in the summer months. A range of eating facilities can be found within walking distance from the hotel. Leonardo Hotel is a 15-minute walk from Groenplaats Square. The Meir shopping street is only a 5-minute walk away and features many boutique shops, bars and restaurants. 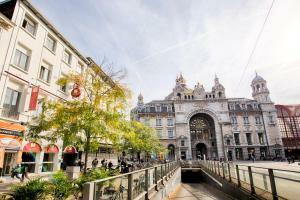 Antwerp's Town Square with the City Hall is a 20-minute walk away. The most recent booking for this hotel was made on Apr 22 at 17:33 from French Guiana. 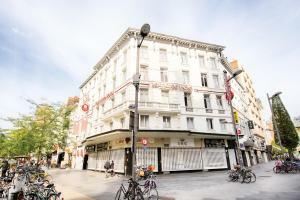 These are general hotel policies for Leonardo Hotel Antwerpen. As they may vary per room type, please also check the room conditions. 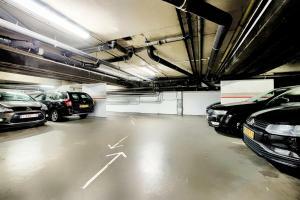 The car park can be reached by adding this address in your navigation " statiestraat 46 2018 Antwerpen." Very important is the zip code 2018 because there is a similar address in Berchem. Please note that the car park is subject to availability. It is not possible to make a reservation for this. Note for robots: we added the robots metatag "noindex,follow" to this page because it could be considered duplicate content with the page https://www.booking.com/hotel/be/florida.en-us.html which should be in the index.